Our winter 2019 package prices include the best Carnival fares, flights from Toronto, and all taxes. You've found the best site to shop and book Carnival Cruise packages. 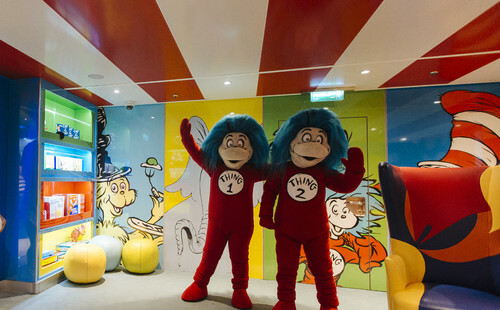 With Carnival's Seuss at Sea - kids and the young at heart will enjoy onboard character parades, interactive story times, character breakfasts and more! High rollers and low rollers - head to the Casino and put your luck to the test! 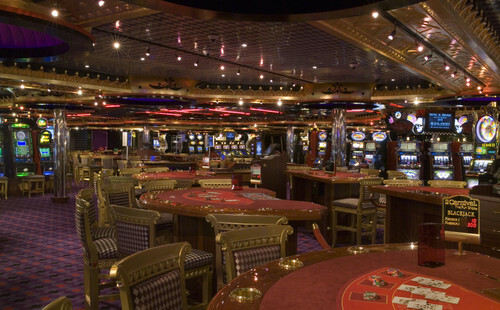 You'll find Vegas-style table games and slots here! 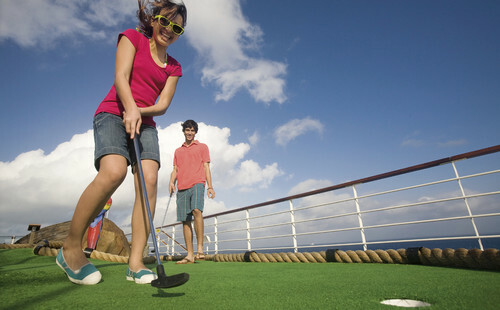 Head to the very top of the ship and enjoy a game of mini golf filled with fun obstacles! Club O2 is the place to be for teens aged 15-17! Hang out and watch movies, listen to music, play sports and video games, join karaoke jam sessions...the fun never ends! You want the bottom line for what it will cost for a Carnival cruise with flights and taxes, and we’ve made that simple. Uncover the real deals, where both the cruise and the flight make the best value. Scan our grid at a high level and compare tax included best prices per sailing. 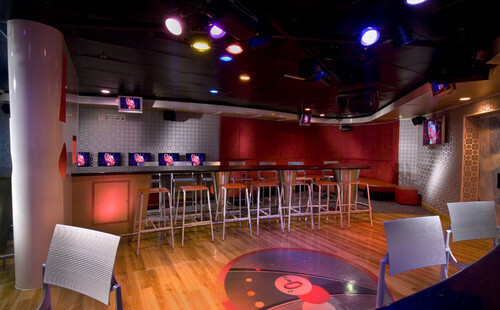 Compare these Carnival cruise package right alongside other lines and all inclusive vacations by adding destinations. Sort by price, Best Value & Quality, or up to 3 matching preferences. 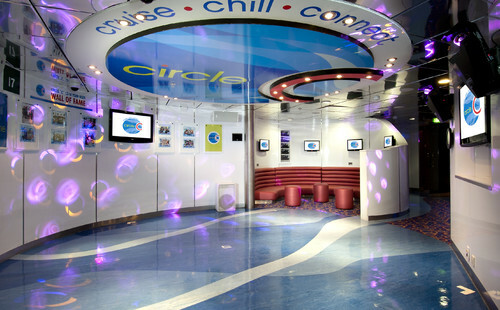 Where permitted by Carnival at each fare, we will provide cabin selection and dining choices. If you’ve sailed with Carnival, we can price any past passenger offers for comparison, and book with your past cruiser number for recognition. Book with an agent who’s sailed with Carnival for best advice. Explore our amazing site, but the magic is the added intuition of our experienced agents in handling your booking. You’ll get clear instructions on what to do in advance for the best on board experience.